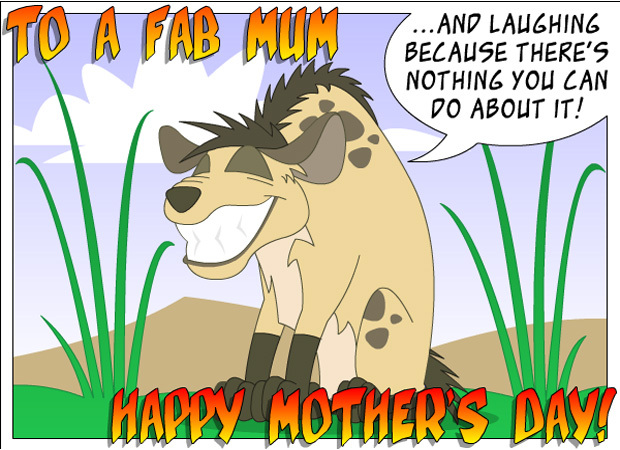 This mothers day e-card starts off with a picture of a Hyena and text appears saying "To a fab mum - I am smiling because you're my mum...". The user then clicks on next and the hyena starts laughing, the text changes to "....and laughing because there is nothing you can do about it!" Happy Mothers day then appears at the bottom of the page. This is a fun cheeky mothers day e card.